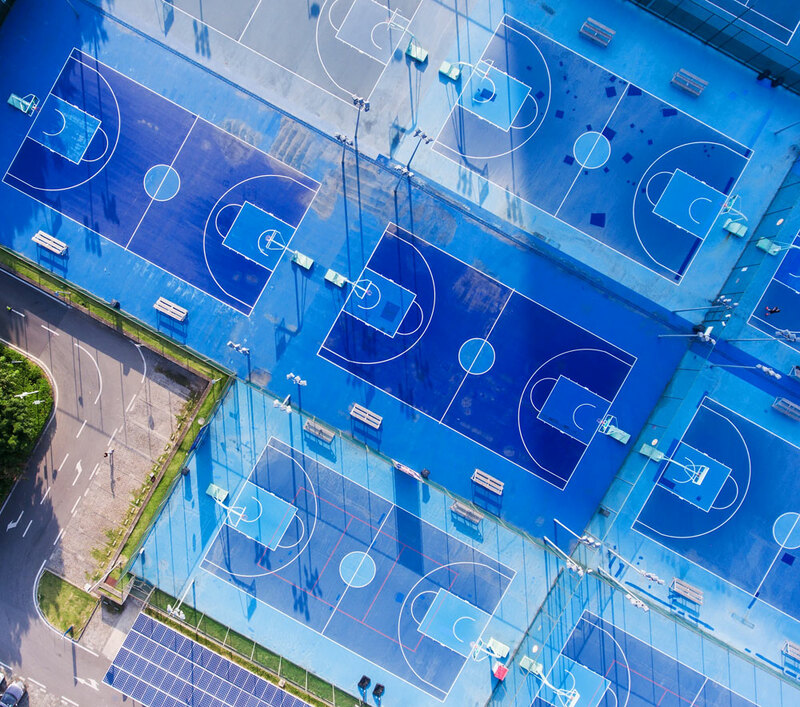 Why Hire Goddard Coatings | Mich.
Goddard Coatings has been installing acrylic coatings on sport surfaces and running track systems for more than 35 years. We pride ourselves on quality workmanship, top-rated materials, and excellent customer service. Goddard Coatings has been installing acrylic coatings on sport surfaces and running track systems for more than 35 years. We pride ourselves on quality workmanship, top-rated materials, and excellent customer service. We guarantee that the finished product you receive is what was proposed and specified, unlike some of our competitors. We might not be the “cheapest on the block”, but this is because we don’t cut corners to be awarded the job. We want the materials to perform to your expectations, thereby not creating premature failures resulting in expensive repairs. Thank you so very much! You are very efficient and I appreciate it very much! Great doing business with you! Thanks so much. It really looks wonderful! Working with Goddard Coatings was great. Their staff was very attentive and always available from design all the way through completion. Any obstacles that came up along the way were dealt with in a professional and timely manner. I will continue to specify Goddard Coatings for all of my running track projects in the future. Just wanted to say thank you for a great job on the tennis court! Everyone was professional and friendly. We really appreciated having your crews work on the court and make it look like new. Also, a special thanks goes to the guys who stripped the court last Friday. They worked with my wife to get the basketball court stripped just right. They were patient and helpful the entire time.